We pride ourselves on offering the best service at an affordable rate. Our fees have always been great value and with no fee increases for our clients in 10 years we carry on that proud tradition. 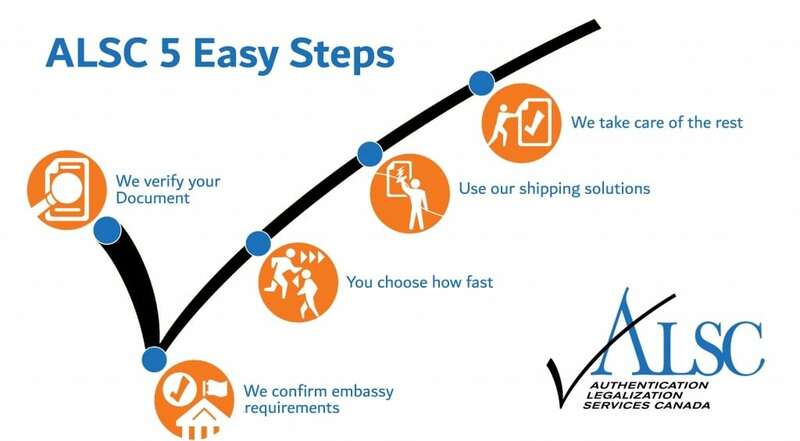 We can also save you $70-80 in shipping fees, take advantage of our Free FedEx overnight shipping to or from any of our 12 ALSC Service Centers, its makes us the most affordable document authentication and legalization service in Canada. First choose the Authentication Service that meets your timeline and budget. Second add the Legalization Service based on the embassy location.